Contrary to popular belief, saying no is a good thing in parenting. Hearing NO teaches kids boundaries, helps manage expectations, and promotes creative thinking. While it’s easy to use common sense to make parenting decisions for infants, babies, and toddlers, as they grow into more rational and verbal creatures, it becomes more difficult to say no to their specific requests. But unless you subscribe to a 24/7 kid-based free-for-all, it’s a necessary step. In life, it’s usually easier to say yes to a question or request asked of you, than to say no, as we don’t want to ruffle feathers or come across as naysayers. This is especially true of parenting, as often the response from a child to a “we’ll see,” or an outright “no” is raw disappointment, crying, fit-throwing, anger, or back-talking. No parent openly invites that behavior. It’s easy to see how the path of least resistance can win out from ease alone. However, saying no to an appeal from your child is often required to keep him safe, healthy, or in check with his values. Sometimes a NO is needed simply because the request doesn’t fit into the family’s schedule, budget, or priorities, which might pull an ever stronger response from a kid, especially an older child with the ability to reason and the want to debate the issue. But saying NO is good. Your kid, whether 2, 10, 12, or 20, is not going to suffer any great consequence over a few appropriately denied requests. In fact, it’s a character builder for them to hear no. What our kids learn today they take with them into adulthood. Consider a 3-year-old child who tantrums every time a parent says no, so said parent learns to work around the situation by always caving to the toddler’s request, even if the want is not beneficial for her. As she gets older and goes to elementary school, she will not only expect to always have her demands granted by other students and teachers, but will be ill-equipped to handle her disappointment, as she’s had no experience self-soothing, nor been forced to invent new ways to satisfy or re-address her needs. Her public disenchantment in front of other children and adults will likely cause strife for all involved, plus she will be behind the eight ball when it comes to making good judgment calls herself, as she’s never had to consider the limitations of behavior. Imagine how this ends if left unchecked year after year. A parent constantly giving the green light at home to his kid’s every whim, a trajectory which will eventually cross paths with teachers, other kids, parents, the workforce at large, and society as a whole, bestows his child a grave injustice. The adult she’ll grow into will be ill-equipped to handle the real world, where boundaries and disappointment are real and necessary, and those who can’t handle peaks and valleys and sharp turns of life’s roller coaster without tossing their cookies will be hurled off the track entirely. And where do those grown kids end up? You guessed it, right back in their parents’ home or under their parents’ financial umbrella, because that’s the only environment they’ll know how to negotiate. Set them up for success and send them out into the world as competent adults by sticking to your gut parenting decisions today. 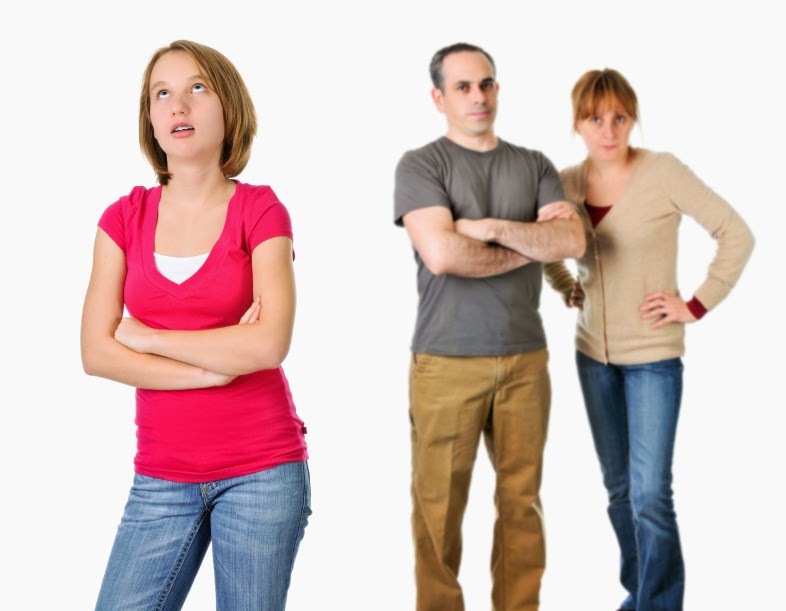 Don’t let your teen’s threat of hating you, your fear of going off the beaten path of what other parents are doing, or your worry that you’ll disappoint your child, cloud your resolve. You know what’s right for your kids. Follow your gut and make decisions that work for your family, even if that means sometimes, or a lot of the time, saying NO to your child. Encourage them to keep asking, share with them your reasoning for your responses when appropriate, and support their decision to be mad at you for yours. They’ll understand it one day, and be grateful you took the time to make the tough choices on their behalf.